Learn how to make a tincture for anxiety to curb feelings of worry and anxiousness. Chamomile, lemon balm, Holy Basil, and cinnamon are some of the best herbs for anxiety. Anxiety can take a serious toll on our lives. Depending on its severity, it can result in panic attacks, chest pain, or even social isolation. When anxiety becomes chronic, it can interfere with our sleep, our work, and our relationships. It can even lead to a compromised immune system and depression. Herbal medicine can support you in decreasing feelings of anxiety. However, anxiety treatment still requires a holistic approach. This can include incorporating practices such as meditation, exercise, quality sleep, and writing down your worries. WARNING: Before learning how to make a tincture for anxiety, check with your doctor to see whether this tincture for anxiety is suited for you. This anxiety tincture is not recommended if you have a difficult relationship to alcohol, are pregnant, have thyroid problems, or are a man trying to conceive. Read our Health Disclaimer here. The herbal tincture for anxiety we are making today is made from chamomile flowers, lemon balm, holy basil, and cinnamon bark. Before learning how to make a tincture for anxiety, let’s learn about these medicinal herbs! 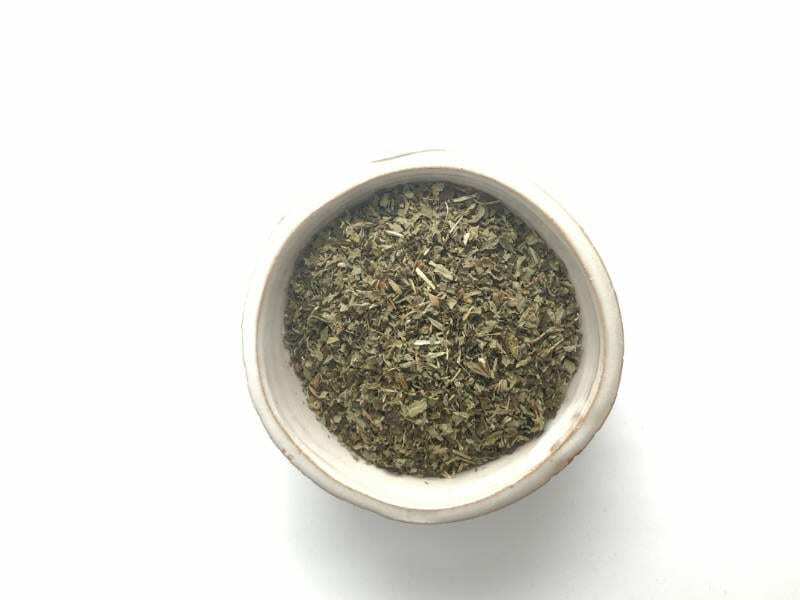 Chamomile (Matricaria recutita) is a nervine, which calms the nerves and eases stress. A study suggests that chamomile is both an anxiolytic and an antidepressant. It can be taken as a yummy tea, an herbal tincture for anxiety, or even used as a massage oil. In fact, receiving massages is a great way to reduce stress. Check first with your doctor: Chamomile is generally considered safe. However, some people are allergic to chamomile and can develop either internal problems or topical reactions like itchy eyes, ears, a scratchy throat, or a runny nose. Lemon balm (Melissa officinalis) is a calming agent and a wonderfully delicious herb that can be taken as a tea, an herbal tincture for anxiety, or added to your meals. Similarly to chamomile, it’s a nervine, used for nervous disorders and helpful for anxiety treatment. It’s one of the best herbs for anxiety and has been found to have anxiolytic effects, with rosmarinic acid being one of the active components shown to improve mood and cognitive performance. One study found that people who took lemon balm reported increased calmness. Moreover, another study found that lemon balm combined with Valerian reduced anxiety. Lemon balm is also rich in citral and citronellal, which are volatile oils shown to calm the nervous system. Check first with your doctor: Lemon balm inhibits thyroid activity. Therefore, for those with hypothyroidism or low thyroid activity, you should certainly run this herb by your doctor first prior to taking this tincture for anxiety. Among the best herbs for anxiety, Holy Basil (Ocimum tenuiflorum or ocimum sanctum) is native to India and is well-known for its calming and revitalizing effects. It can be taken as tea, vinegar, tincture, or eaten as a culinary herb. A Nepalese study found that holy basil significantly helped lessen anxiety in individuals suffering from generalized anxiety disorder, pointing to holy basil potentially being an effective anxiolytic. Furthermore, another study in India on individuals who were given holy basil extract found their stress symptoms to be improved, including forgetfulness, poor sleep, fatigue, and even recently developed sexual problems linked to anxiety. 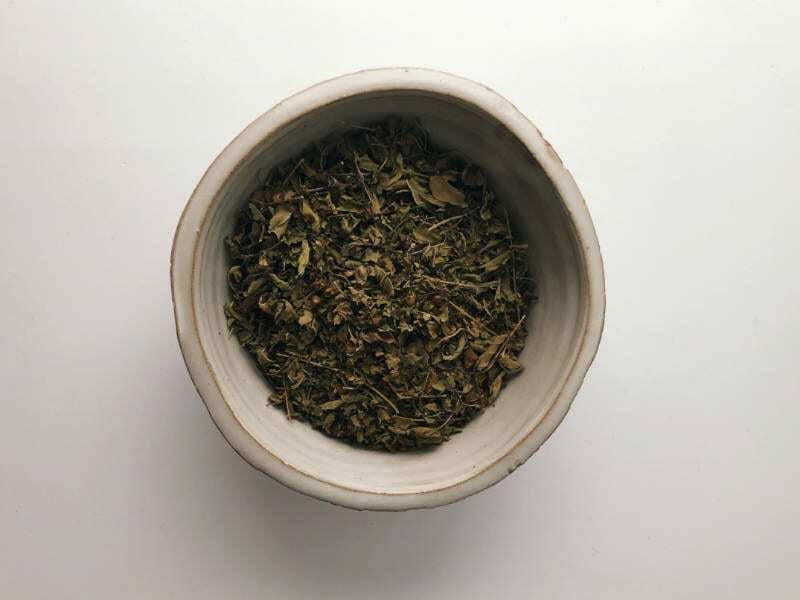 Check with your doctor first: Holy Basil is a uterine stimulant, so do not take if pregnant. It can also decrease sperm count, thin blood, lower glucose in the blood, and interact with other medication. Ceylon Cinnamon (cinnamomum verum) comes from the bark of trees native to India and Sri Lanka. Cinnamon is well known to boost vitality and can be used as anxiety treatment. One study on mice found that cinnamon essential oil helped improve symptoms of anxiety and depression. Researchers hypothesize that the anxiolytic effects may be due to cinnamon’s antioxidant and anti-inflammatory properties. Cinnamon has also traditionally been used to stabilize blood sugar levels. As a result, people suffering from low blood sugar often suffer from anxiety. Using cinnamon can help reduce stabilize blood sugar, and in turn, reduce anxiety. Check with your doctor first: Cinnamon in this herbal tincture for anxiety is a uterine stimulant, so do not consume in large amounts if pregnant. These four herbs for anxiety may not be suited to you (especially if you are pregnant, have thyroid issues, or are a man trying to conceive!). Other medicinal herbs to consider adding to your herbal tincture for anxiety – and to run by your doctor!! – include Ashwaganda, Shankpushpi, Rhodiola (rosea), Valerian, lemongrass, Schisandra fruit, Jasmine, and – not an herb, but a mushroom – reishi. Check with your doctor to determine whether these herbs + alcohol are safe for you. Strain. Place the nut bag into the glass jar, and the potato ricer over the nut bag. 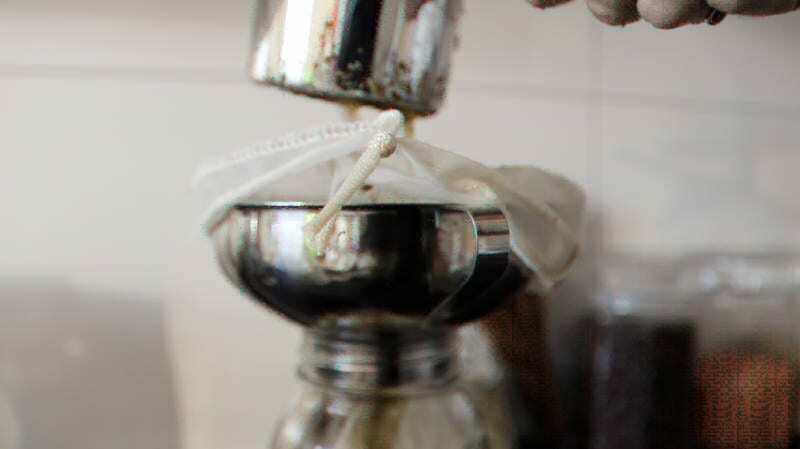 Transfer the liquid and herbs into the potato ricer so that it dribbles down into the nut bag and into the amber jar. Squeeze the potato ricer to extract the tincture from the herbs. Transfer some of your tincture from your glass jar to a tincture bottle using the metallic funnel. To take: Determine dosage with your doctor. I personally take up to 3 dropperfulls per day as needed. Now that you know how to make a tincture for anxiety, will you be testing out these best herbs for anxiety? Are there other natural remedies or any herbal tincture for anxiety that you use to support you in relieving anxiety? Let us know in the comments below! If you enjoyed this post, you might enjoy learning how to make an herb press from salvaged materials or discover our wellness section for more home remedies. If you wish to learn more about prioritizing your health while still minimizing waste, check out our free intro to zero waste living class! Ready for more home tincture-making? Here are the step-by-step instructions to making any alcoholic herbal tincture using the folkloric method. Jump into herbal medicine making with us! Observe and Interact – Take notice of how a particular herb positively affects your body. Once you learn how to make a tincture for anxiety, test it, and see how it supports you in reducing feelings of stress. Obtain a Yield – The finished product of making this herbal tincture for anxiety yields healthful benefits. You can also obtain a yield by trading your anxiety tincture with friends and family. Use and Value Diversity – These are just some of the best herbs for anxiety, but there are countless plants available in which to derive medicine. 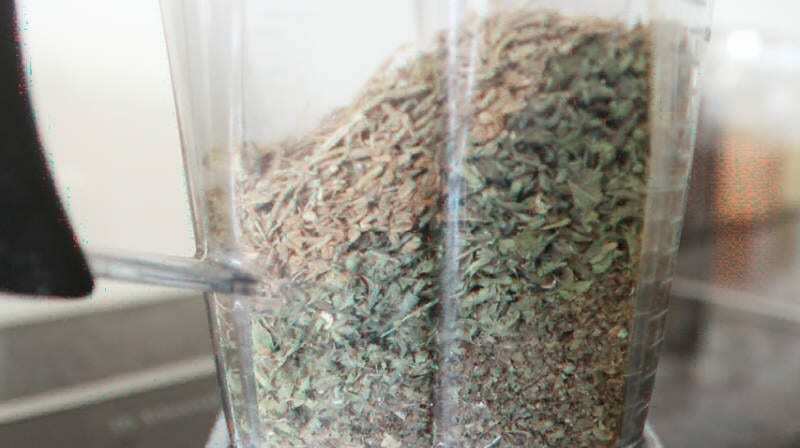 Learn how to make a tincture for anxiety with the medicinal herbs that are most suited to you. We dream of living off the grid and meeting all of our energy needs. Until then, we work on bettering ourselves every day to make conscious changes to live a more sustainable life, and to “love harder”. Sign up for our newsletter and get FREE access to our Resource Library. The 12-Month Zero Waste School is OPEN! 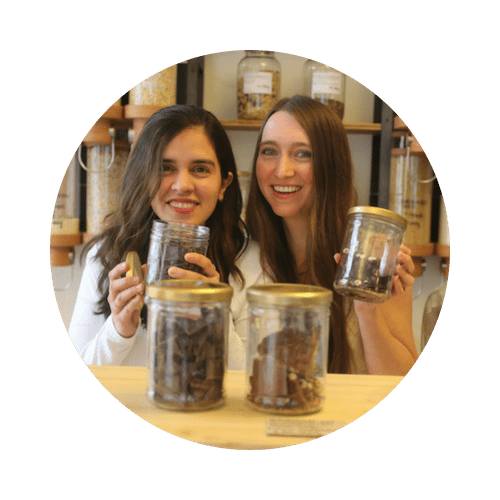 With every passing season, learn about a new topic, from zero waste body care, to green cleaning, low-waste menstruation, herbal remedies, sprouting, secondhand living, activism, and so much more!